It’s finally springtime, and in the Jewish community, we herald the new season and the good tidings we hope it will bring. We commemorate this time of the year with the festival of Shavuot, which, this year, will go from Saturday, May 19th, to Monday, May 21st. 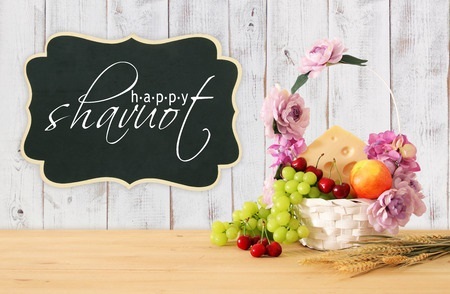 With the holiday is right around the corner, we thought it might be beneficial to talk about why we celebrate Shavuot. Shavuot, which means the “Feast of Weeks,” traditionally takes place fifty days, or seven weeks, after the first Passover seder. It also sometimes goes by the Greek word for fifty, “Pentecost.” In fact, it is actually a celebration of two things. The first is the grain harvest of early summer, which came right around this time, when Israelite males were commanded to appear before God in Jerusalem with the first fruits of the harvest. The second is God’s offering of the Torah on Mount Sinai, seven weeks after the Israelite exodus from ancient Egypt; a seminal event in the Jewish faith. Those of the Jewish faith can celebrate Shavuot through a number of ways. Parents are encouraged to stay up at night to teach their children readings from the Torah, to commemorate its origin. Although its history is unclear, it has also become tradition to eat dairy products on Shavuot, like milk or cheese. In addition, it’s custom to light candles, read specific poems, and hear from the Book of Ruth in synagogue, which occurred during the barley harvest. If you have any questions about Shavuot, or need any help planning your celebration, don’t hesitate to contact Rabbi Richard Polirer. We look forward to a happy, healthy holiday!